The days are getting warmer, the wind is blowing and drying things up! I am still a bit nervous to remove the straw on the garlic, but if the weather forecast holds as it looks, we will be removing the straw to expose the ground! We plan to slowly add it back onto the garlic to retain a bit more moisture–our trials with that last year proved it successful! We have exhausted all bulbs available now for spring, so now can put together clove packages of 8 cloves per package for spring planting. These are from med and large bulbs that are either damaged or have one poor clove, so the bulb was culled, and yet has a few plump and very good cloves for planting. 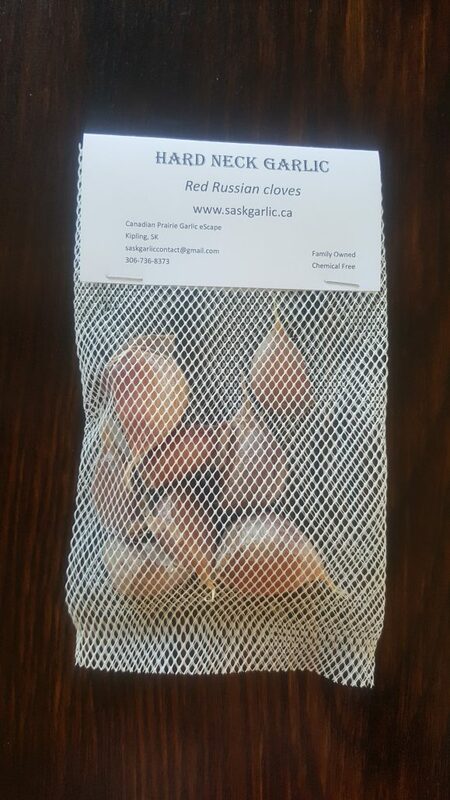 https://saskgarlic.ca/wp-content/uploads/2018/04/20180429_213136.jpg 3264 1836 saskgarlic https://saskgarlic.ca/wp-content/uploads/2017/03/logo-dark-2.png saskgarlic2019-04-04 15:44:122019-04-04 15:57:32Spring is Here!